DJ Pius (hat) with Chameleone and on the right is Pallaso with fans showing some love to Weasel who they were seeing for the first time following the death of his long time partner, Moze Radio. Rwanda's DJ Pius was on Friday launching his first album dubbed 'Iwachu' that saw top Ugandan artistes miss out on the Golden Heart Concert that was held here in Kampala as the events were taking place on the same day. The Iwacu star hit the stage at 11pm after a series of performances from curtain raisers including Urban Boys, Charly Na Nina, Uncle Austin and DJ entertainment. He kicked off the show with his Iwacu song followed by Wabulililawa. Comedian Arthur Nkusi was the MC of the night. It was not long before Pallaso hit the stage doing his hit songs, he was joined by Weasel sending the crowd into a frenzy. Pallaso was doing Moze Radio's lines in the 'Talk N talk', 'Magnetic', 'Ngenda Maaso', and Neera among others, the Rwanda fans were singing along. 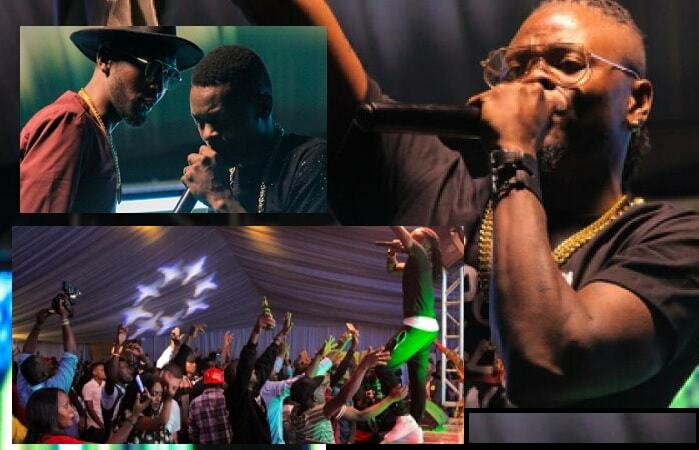 Chameleone hit the stage at about 1:00am doing his Kipepeo, Naumia and Valu Valu hits. 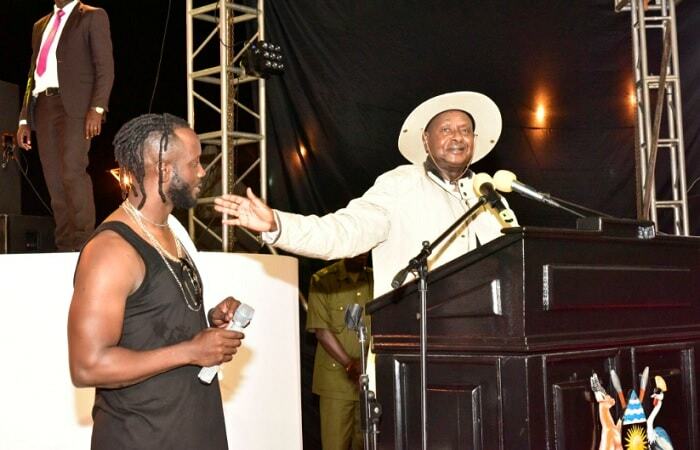 DJ Pius later bounced joining the Ugandan star on their collaboration Agatako song, leaving the crowd on their toes just like he preaches in his Mateeka song. Gusto Italian Restaurant and Bar in Kimihurura was the venue for the After Party, but the Mayanja brothers had to relax as they prepared for the second show on Saturday at Musanze for the Stadium Show.